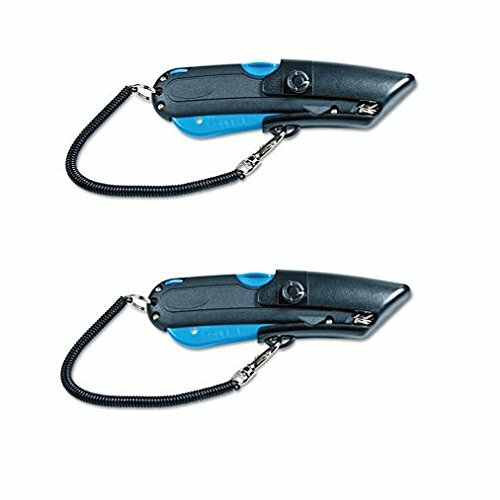 Safety-tipped blades retract automatically upon release of handle. Handle features retractable edge guides for cutting box tops as well as a blade storage compartment pre-stocked with three replacement blades. Knife Type: Retractable Blade Knife; Blade Type: Retractable; Number of Blades: 1; Handle Material: Plastic. If you have any questions about this product by GARVEY, contact us by completing and submitting the form below. If you are looking for a specif part number, please include it with your message.